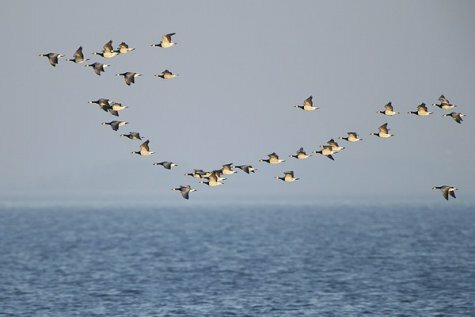 In the beautiful autumn weather of the weekend geese migration went on. 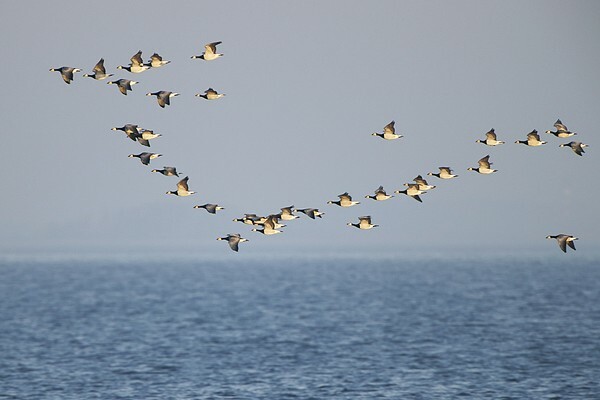 The greatest numbers of barnacle geese arrive to forage here at the end of September but weathermen promise nice autumn weather again to the end of the week and we are sure to see birds migrating. Because of the long-term ban on hunting the passing autumn migrants have grown quite numerous, an estimated number is slightly less than a hundred thousand. 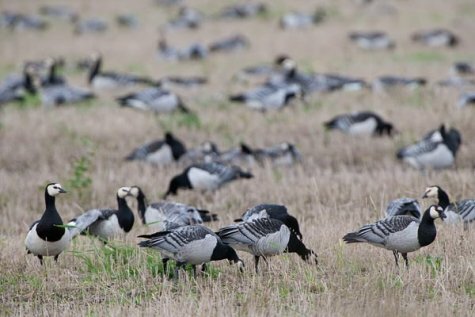 There are flocks of barnacle geese on fields, meadows and seashore meadows and a smaller number stay here to feed until the snow comes. Farmers are upset with the barnacle geese, sometimes with reason.